At a time when many of us are thinking of retirement, or already “retired and loving it,” along comes our BHS’68 classmate, Laurie Eisenberg, who up and gets a new job! As of October 1, she is now Professor of Research Otolaryngology at the Keck School of Medicine of USC. 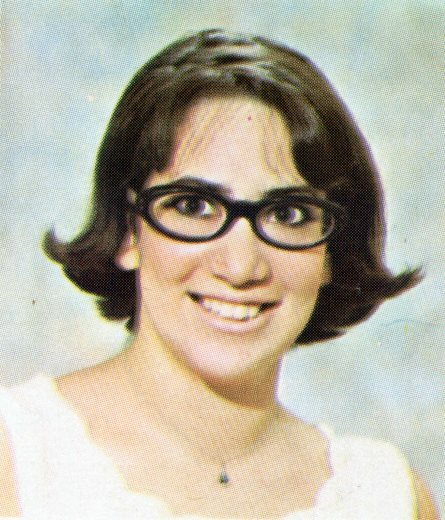 Laurie Eisenberg, in a recent photo. Doesn’t she look gorgeous! I found Laurie’s bio at the USC Undergraduate Neuroscience Program’s House Ear Institute in Los Angeles, her previous job, where I was most surprised to learn that she received a Bachelor’s degree in Music from California State University in Fresno! When asked about it, Laurie said she studied music theory and composition, and played string bass from junior high through college. She also received a Master’s degree in Communicative Disorders from Cal State, Northridge; and earned a Doctorate in Speech and Hearing Sciences Graduate School at the City University of New York. 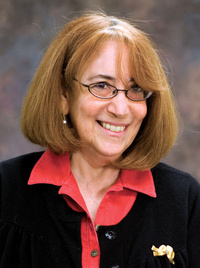 Laurie Eisenberg is an audiologist who engages in clinical research specific to pediatric hearing loss, auditory perception, and sensory devices. Her primary research interests involve: 1) defining the auditory factors and their inter-relationships that underlie the development of spoken language competence in infants and young children with hearing loss; and 2) developing methods and assessment tools for measuring auditory capacity in children with hearing loss. Dr. Eisenberg has a number of ongoing collaborations with scientists from UCLA, Indiana University, Purdue University, Johns Hopkins University, and San Diego State University. Her research is supported by the National Institute on Deafness and Other Communication Disorders (NIDCD) of the National Institutes of Health (NIH). 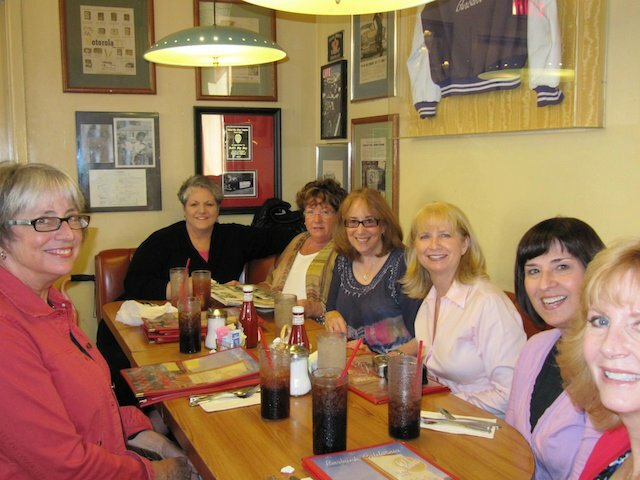 Laurie attended the BHS Girls’ Luncheon at Bob’s Big Boy a few years ago and reconnected with classmates Stephanie Llewellyn, Christine Cullen Bartlett, Alice Hanson, Jan Wahler Hill, Leslie Reel Rozek and Louise Good Hernandez above. She is in the middle, fourth from the left. Congratulations, Laurie, on your new job! Posted by Katherine Crosier on November 13, 2013 in Burbank High School and tagged Alice Hanson, audiologist, auditory development, auditory sensory devices, Bob's Big Boy, Christine Cullen-Bartlett, hearing loss, hearing specialist, Jan Wahler Hill, Keck School of Medicine, Laurie Eisenberg, Leslie Reel Rozek, Louise Good Hernandez, otolaryngology, pediatric audiology, speech perception in children, Stephanie Llewellyn.